Nazca is an open-source framework which rethinks the Photonics IC design flow from the ground up. The goal is to make high-quality PIC design easier, cheaper and faster for commercial, research and academic designers. Mask layout of a photonic IC with lasers, photo-detectors and semiconductor optical amplifiers connected with technology aware interconnects. 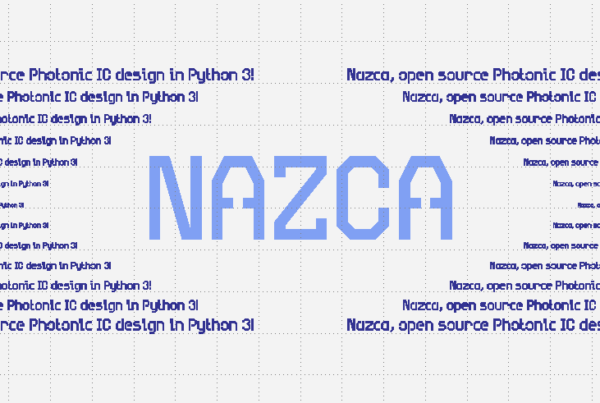 Nazca workshop during Hackathon at IPC, Reston, VA, USA # Oct 2: Tue 12:00-13:30. Nazca workshop during Hackathon at ECOC, Rome, Italy: # Sep 25: Tue 13:00-1500. Nazca presentation during 6th International Symposium on Data Centres at ECOC2018, Rome, Italy, 26 September 2018. Nazca workshop during 3rd European Summer School on PICs for Optical Interconnects, Thessaloniki, Greece, 25-29 June 2018. Nazca session during Europractice Photonic Integrated Circuits (PIC) training, 4 – 6 April 2018, imec-Leuven, Belgium. Nazca won the PIC Hero Award 2018! Nazca workshop during JePPIX Training at the Chinese Academy of Sciences, Beijing, 19-23 March 2018. Nazca workshop during Hackathon at OFC 2018, USA, 11 March, time: 20:00 – 22:00, Room: 29D. We imagined the Photonic IC design tool that would best support our commercial and research work. With a team of professional photonic designers we created Nazca. 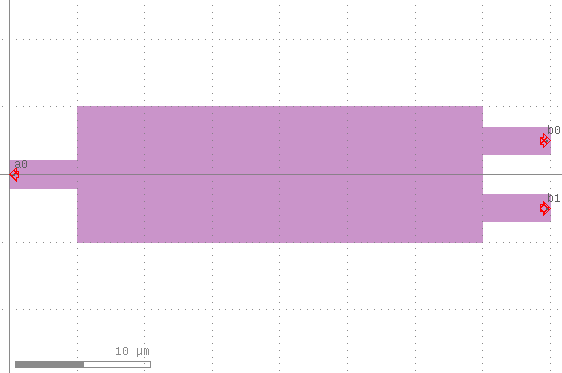 Nazca is an open-source PIC tool based on Python-3 and Jupyter. It makes use of the high-end open-source Klayout mask viewer/editor, which is extremely popular in the photonics community. Nazca makes design simpler and more fun by adding many features lacking in most commercial tools, but which are critical for the designer to deliver high-quality designs efficiently. This ranges from embedding hierarchical design in the script syntax to visualisation schemes in mask layout.